During the last two years teaching yoga in Southeast Asia and India, I have been deeply inspired by the worldwide community of like-minded teachers making a positive impact taking up yoga instructor jobs, exchanges and projects around the world. Their ability to truly live their yoga practices allows the benefits to extend to all whose lives they touch. By integrating a diverse set of skills from graphic design to holistic nutrition, these modern-day yogis are stepping in to help develop businesses, create job opportunities for communities in need, and promote healthy, happy living. Now, with the help of Yoga Trade, an online community linking yoga and wellness professionals with opportunities around the world, yoga has become more accessible than ever. Erica Hartnick is the founder of Yoga Trade and a true inspiration for its vision of “Living Yoga”. She is a passionate yoga teacher, sponsored athlete and ambassador for Carve Designs, and has also contributed to popular yoga websites including Elephant Journal and Yoganonymous. By finding creative ways to build community online, Erica’s work not only makes a direct impact on her students, but she’s left a lasting imprint on the worldwide yoga community. World travels have allowed Erica to experience Mexico, Canada, El Salvador, Nicaragua, Panama, Argentina, Uruguay, France, Morocco, Indonesia, Australia, New Zealand, Fiji, and Samoa. 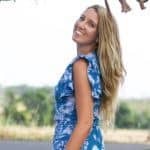 Some of her highlights include working at a Heli-Ski Lodge in Alaska, teaching yoga at a surf resort in the Mentawai Islands, guiding yoga boat trip tours across the Golfo Dulce in Costa Rica, and solo backpacking the Tahoe Rim Trail. 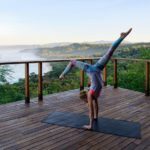 She has also been a seasonal resident yoga teacher at Encanta La Vida Jungle Resort on the Osa Peninsula in Costa Rica and is an annual yoga teacher and retreat leader at the internationally recognised Yoga Farm. Read more about Erica on her personal website or join the online yoga community on Yoga Trade site and follow Yoga Trade on Instagram @yogatrade. Kennedy Omondi is a dedicated yoga teacher working with the Africa Yoga Project. Through the transformational practice of yoga, the AYP creates opportunities for African youth to realise their own potential and become self-sustaining leaders in their communities. Omondi completed his first training with Sharon Moon from the Jois Foundation in 2012, followed by a 200-Hr Yoga Alliance Training in Nairobi and an advanced training with the world-famous Power Yoga Teacher, Baron Baptiste. He has attended numerous workshops including Trauma sensitive yoga, Kundalini yoga, Chair yoga sessions and NGY (Next Generation Yoga), offering him fresh insights and inspiration for his classes. Read more about the Africa Yoga Project and learn how you can get involved. Follow the organisation on Instagram @africayogaproject and Facebook. With a background in the field of psychology and social work, Sarah brings expertise in the healing arts of Eastern and Western medicine. Her therapeutic approach is to develop strength through identifying the fears, beliefs, and choices that hold us back. By facing and overcoming our own monsters, Sarah helps put to rest all that limits your potential, and as she likes to say, “transform the hunted to the hunter”. As a therapist, Sarah has supported young children, teens, families, and adults on their own unique paths to health and wellness. She has piloted multiple programs that are grounded in the evidence-based practices of Parent Child Interaction Therapy (PCIT), Cognitive Behavioural Therapy (CBT), and more. Additionally, Sarah has collaborated with and trained schools throughout the Midwest in both effective classroom management and therapeutic use of yoga and mindfulness practice in the classroom. Sarah has completed multiple CPY Registered Yoga Teacher Training courses including Power Yoga, Sculpt and Lila Learning’s Kids Yoga course integrating games, dancing, music and more! Her new space, Whole Life Wellness Studio enables her to offer her diverse background in physical and psychological therapy to offer a holistic approach to healing. Jake Paul White travels the world sharing his passion of yoga while using design as a vehicle to transport him to where he needs to be. He works with non-profit organisations, start-ups, festivals and specialises in helping yoga instructors, alliterative healers, circus performers, artists and art communities get connected with their audience online and through print. Having a background in slack lining and rock climbing, Jake was immediately drawn to the physically demanding aspects of the practice. Not long after establishing a regular asana practice, he began to recognise its potential for healing and self-discovery. He completed his first teacher training with All Yoga Thailand, and has since participated in countless workshops and retreats to continue to refine his own practice and teaching. Sacha believes that the potential of yoga extends far beyond the physical; it is a way of living in connection with oneself, other beings, and the whole living world around us. While studying Psychology at the University of Toronto, she became interested in the mental health benefits yoga and meditation could have for children and adults suffering from anxiety and depression. She began teaching children and family yoga in Canada and soon after made a trip to America and India to continue immersing in the studies of an integral yoga – ranging from asana, and meditation practice to living in conscious communities. She has spent the last year as a resident yoga teacher in Cambodia living, learning and sharing at Hariharalaya Yoga & Meditation Retreat Center and Song Saa Private Island Resort as The Health & Well-Being Guide. In addition to teaching yoga, Sacha leads excursions for international guests where they can connect with the Khmer culture in local villages and the beautiful way of life on the island. 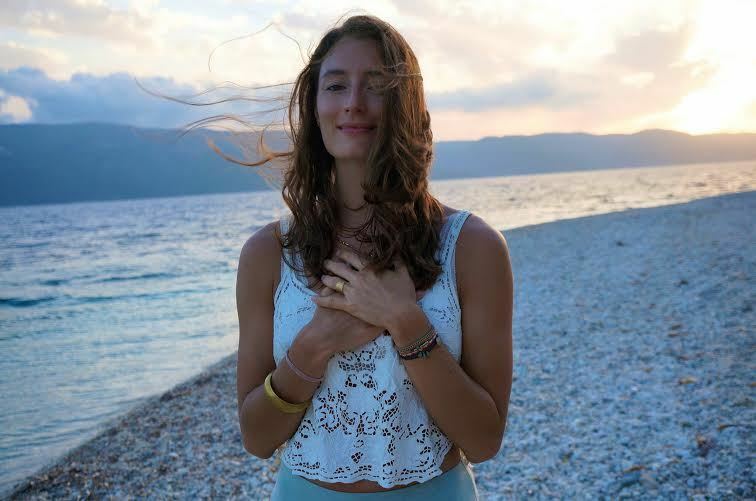 Sacha continues to train in Yoga Therapy under Shy Sayar’s Tantravaya method, aspiring to assist people with physical and psychological suffering by allowing them to see how incredibly joyful life can be while living moment to moment. Lauren Lee is passionate about holistic health and exploring the world. She began her journey in India volunteering for Lotus, a small yoga retreat centre on a pristine beach lined with palm trees. She became instantly enchanted by her new home: Mother India and her smells, yoga in all shapes, forms and styles and the thrill of living in an exotic country. It was then that she became aware of an entirely new way of living: a life more simple, spiritual and healthy in both body & mind. When Lauren is not teaching, she is connecting a like-minded community through ‘Raise Your Beat’, an online platform that provides insight on holistic living. The site is a collaborative effort for holistic health practitioners, yoga teachers, artists and creatives to share inspiration and network with a global community. As a natural-born explorer, Lauren has adapted to living in many countries teaching, practicing, photographing and learning and has no plans to stop! To learn more about the worldwide community of yoga and wellness professionals, read inspiring blog posts and explore job opportunities, visit Yoga Trade.